Statement of Deficiencies and Plan of Correction, QAPI Tool. CMS estimates it takes an Administrator approximately two hours to complete one CMS-2567, "Statement of Deficiencies and Plan of Correction". 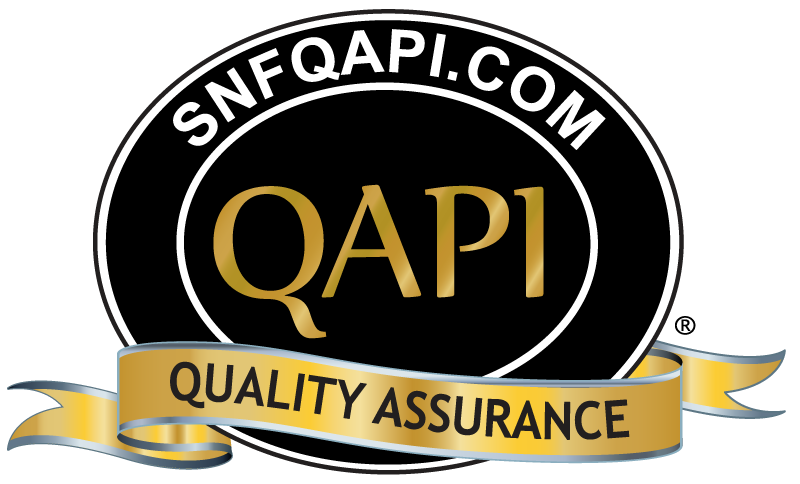 SNFQAPI completes the task in seconds. Our POC’s include the Ftag, estimated Scope & Severity, Regulation, Statement of Deficiencies, Findings and Plan of Correction that addresses: how corrective action(s) will be accomplished for residents found to have been affected by the deficient practice; how the facility will identify other residents having the potential to be affected by the same deficient practice and what corrective action will be taken; what measures will be put into place or what systemic changes the facility will make to ensure that the deficient practice does not recur; how the facility plans to monitor its performance to make sure that solutions are sustained; how the POC is integrated into the Quality Assurance Performance Improvement system and how the corrective action is evaluated for its effectiveness. There’s not one POC that can address every issue, so be sure to edit each CMS-2567 to meet your individual needs. The facility must conduct initially and periodically a comprehensive, accurate, standardized reproducible assessment of each resident&#39;s functional capacity. One out of six Resident Assessments reviewed failed to address the resident's nutritional status including weight and height. The facility maintains that the comprehensive assessment includes identification and demographic information. The Director of Nursing Services and the Minimum Data Set Coordinator will meet with the Administrator to review the facility protocols regarding resident assessment including policies and practices to ensure all sections of the resident assessment instrument specified by the State are accurately completed as required. The Administrator will ensure that the facility policy and practices are consistent with the requirements stated in the regulations. The Directors of Nursing Services and Staff Development and the MDS Coordinator will meet to review the needs of individuals affected by the deficient practice. The Director of Nursing Services will ensure that the MDS Coordinator obtains and accurately enters the identification and demographic information in the resident assessment instrument specified by the State. The Director of Nursing Services will advise the MDS Coordinator of new admissions and ensure steps have been taken to obtain required assessment data in a timely and accurate manner. The Director of Nursing Services will be informed of any delays in obtaining accurate data and completing the assessment in a timely manner. The Director of Nursing Services will obtain a record audit from the records staff of the Minimum Data Sets of recent admissions to assure that the identification and demographic data have been obtained and accurately entered in the MDS in a timely manner. The Director of Social Services will be available to attend Resident Council and/or meet with individual residents or their representatives upon request to provide information and support about facility policy and practices. Specifically, the Director of Social Services will review the policies and practices related to the assessment processes used by the facility beginning at the time of admission and continuing as required but at least quarterly thereafter. "Identification and demographic information" refers to information that uniquely identifies each resident and the facility in the resident residents, date of entry into the facility and residential history. The Director of Staff Development will meet with the Director of Nursing Services and the Director of Admissions to develop a training program for facility staff that complete Minimum Data Sets and/or periodically arrange for training provided outside of the facility. As necessary, the Director of Staff Development will train facility staff about the facility policy and practices to ensure that accurate methods of obtaining and entering the identification and demographic information in resident assessments are used. Training will address the facility policy and practices. This will be documented. Staff members who fail to follow the facility policies and practices will be reprimanded and provided additional training. Staff from the records department will conduct audits of the clinical records, including the resident assessment instruments, to assure that the information entered into the Minimum Data Sets are accurate and that the tasks are completed in a timely manner. The results of the audits will be provided to the Director of Nursing Services on a routine basis. The Director of Admissions will meet with the Director of Staff Development to develop a tool to be used at the time of admission. The tool will ensure that copies of resident rights are provided and reviewed with the resident at the time of admission. At that time the residents will also be informed that regular assessments are conducted to ensure that, the facility develops plans of care that meet their needs. The residents will be informed how to make requests and report problems. The admission tool will also ensure that signed acknowledgement is obtained and filed in the business office with the admission contract. At the time of admission, residents will be provided a copy and explanation of resident rights. The admission process tool, developed to ensure that specific tasks were completed at the time of admission, will be used. This plan will be implemented and the corrective action evaluated for its effectiveness. This plan of correction is integrated into the Quality Assurance Performance Improvement (QAPI) program. The Clinical Care Subcommittee, of the Quality Assurance Performance Improvement Committee, chaired by the Director of Nursing Services, shall review the audits of resident assessments on a quarterly basis to ensure compliance. Three out of six Resident Assessments reviewed failed to address the resident's skin condition and the development of facility acquired pressure sores. The facility maintains that, based on the comprehensive assessment, residents who have pressure sores/ulcers receive the necessary treatment and services to promote healing, prevent infection and prevent new sores from developing. The Directors of Nursing Services and Staff Development will meet with the Administrator to review the facility policies and practices regarding nursing services. The facility protocols will ensure that residents who have pressure sores/ulcers receive the necessary treatment and services to promote healing, prevent infection and prevent new sores from developing. The Director of Nursing Services, in consultation with the Medical Director, will ensure that the protocols for treating residents who have or are at risk of developing pressure ulcers reflect current medical practices. The Director of Nursing Services will also ensure that licensed nurses competently apply the protocols to new admissions and at regular intervals thereafter for residents at risk of developing the ulcers. The Director of Nursing Services, Director of Staff Development and the Dietitian will meet to review the needs of individuals affected by the deficient practice. The Director of Nursing Services will ensure that residents who have pressure sores/ulcers receive the necessary treatment and services to promote healing, prevent infection and prevent new sores from developing. For those residents who have or are at risk of developing pressure ulcers, the Director of Nursing Services will ensure additional assessments and revisions of the plans of care are made as necessary to prevent the development of new and/or heal the present pressure ulcers. The Director of Staff Development will assist the Director of Nursing Services to observe the care and treatment practices of the licensed nurses. The Dietitian will reassess the nutritional needs of the residents with or at risk for developing pressure ulcers and provide this information to the Director of Nursing Services in writing. The Director of Nursing Services will address recommendations made by the Dietitian with the nursing staff and/or physician. When appropriate, the Director of Social Services/Designee will meet with individual residents to ensure the services, processes and results of care and services provided by the facility are satisfactory with the residents affected by the deficient practice. To the satisfaction of these residents and the facility, the Director of Social Services will resolve issues that may arise in meeting the needs of the residents in coordination with the Directors of Nursing Services and Staff Development. The Directors of Nursing Services, Staff Development and Social Services/Designee will review audits from the records department staff to ensure that, based on the comprehensive assessment, residents who have pressure sores/ulcers receive the necessary treatment and services to promote healing, prevent infection and prevent new sores from developing. The audits will report the presence of a plan of care for those residents who have or are at risk of developing pressure ulcers and whether dietary recommendations that required a physician order were addressed in a timely manner. The Director of Nursing Services will be informed of any delays in obtaining audit information and required evaluations. The Director of Nursing Services and Director of Social Services will act upon the audit information as necessary. The Director of Social Services/Designee will be available to attend Resident Council and/or meet with individual residents or their representatives upon request to provide information and support about facility policy and practices. Specifically, the Director of Social Services will review the policies and practices related to the care and services provided by the facility. Pressure Ulcer means any lesion caused by unrelieved pressure that results in damage to the underlying tissue(s). Although friction and shear are not primary causes of pressure ulcers, they are important contributing factors to the development of pressure ulcers. Avoidable pressure ulcers means that residents developed pressure ulcers and that the facility must do one or more of the following: evaluate the clinical condition of the resident and pressure ulcer risk factors; define and implement interventions that are consistent with the needs and goals of the residents and recognized standards of practice; monitor and evaluate the impact of the interventions; and revise the plans of care as appropriate. Unavoidable pressure ulcers means that the resident developed a pressure ulcer even though the facility evaluated the clinical condition and pressure ulcer risks factors of the residents; defined and implemented interventions that were consistent with the needs and goals of the residents and recognized standards of practice; monitored and evaluated the impact of the interventions; and revised the plans of care as appropriate. Cleansing refers to the use of an appropriate device and solution to clean the surface of the wound bed and to remove the looser foreign debris or contaminants in order to decrease microbial growth. Irrigation refers to a type of mechanical debridement that uses an appropriate solution delivered under pressure to the wound bed to vigorously attempt to remove debris from the wound bed. Colonized means the presence of bacteria on the surface or in the tissue of a wound without the signs and symptoms of an infection. Infected means the presence of micro-organisms in sufficient quantity to overwhelm the defenses of viable tissues and produce the signs and symptoms of infection. Debridement means the removal or devitalized or necrotic tissue and foreign matter from a wound to improve or facilitate the healing process. Autolytic debridement refers to the use of moisture-retentive dressings to cover a wound and allow devitalized tissue to self-digest by the action of enzymes present in the wound fluids. Enzymatic (chemical) debridement refers to the topical application of substances such as enzymes to break down devitalized tissue. Mechanical debridement refers to the removal of foreign material and devitalized or contaminated tissue from a wound by physical rather than by chemical or autolytic means. Sharp or surgical debridement refers to removal or foreign material or devitalized tissue by a surgical instrument. Maggot debridement therapy (MDT) or medicinal maggots refers to a type of sterile intentional biological larval or biosurgical debridement that uses disinfected (sterile) maggots to clean wounds by dissolving the dead and infected tissue and by killing bacteria. Eschar means tissue described as thick, leathery, frequently black or brown in color, necrotic (dead) or devitalized that has lost it usual physical properties and biological activity. Eschar may be loose or firmly attached to the wound. Slough means that necrotic or avascular tissue is in the process of separating from the viable portions of the body and is usually light colored, soft, moist and at times, stringy. Exudate is any fluid that has been forced out of the tissues or the capillaries because of inflammation or injury. This fluid may contain serum, cellular debris, bacteria and leukocytes. Purulent exudates/drainage/discharge is any product of inflammation that contains pus. Serous drainage or exudates is watery, clear or slightly yellow/tan/pink fluid that has separated from the blood and presents as drainage. Friction is the mechanical force exerted on skin that is dragged across any surface. Shearing is the interaction of both gravity and friction against the surface of the skin. Friction is always present when shear force is present. Shear occurs when layers of skin rub against each other or when the skin remains stationary and the underlying tissue moves and stretches and angulates or tears the underlying capillaries and blood vessels causing tissue damage. Granulation is the pink-red moist tissue that fills an open wound when it starts to heal. It contains new blood vessels, collagen, fibroblasts and inflammatory cells. Tunneling is a passageway of tissue destruction under the skin surface that has an opening at the skin level from the edge of the wound. Sinus tract is a cavity or channel underlying a wound that involves an area larger than the visible surface of the wound. Undermining is the destruction of tissue or ulceration extending under the skin edges (margins) so that the pressure ulcer is larger at its base than at the skin surface. Undermining often develops from shearing forces and is differentiated from tunneling by the larger extent of the wound edge involved in undermining and the absence of a channel or tract extending from the pressure ulcer under the adjacent intact skin. STAGE I is an observable, pressure-related alteration of intact skin whose indicators, as compared to an adjacent or opposite area on the body, may include changes in one or more of the following parameter: skin temperature (warmth or coolness), tissue consistency (firm or boggy), sensation (pain, itching) and/or a defined area of persistent redness in lightly pigmented skin whereas in darker skin tones, the ulcer may appear with persistent red, blue or purple hues. STAGE II is a partial thickness of skin loss involving epidermis, dermis or both. The ulcer is superficial and presents clinically as an abrasion, blister or shallow crater. STAGE III is a full thickness skin loss involving damage to or necrosis of subcutaneous tissue that may extend down to but not through the underlying fascia. The ulcer presents clinically as a deep crater with or without undermining of adjacent tissue. STAGE IV is a full thickness skin loss with extensive destruction, tissue necrosis or damage to muscle, bone or supporting structures (such as tendon or joint capsule). Undermining and sinus tracts may also be associated with Stage IV pressure ulcers. NOTE: If Eschar and necrotic tissue are covering and preventing adequate staging of a pressure ulcer, the pressure ulcer is coded as a Stage IV for the Resident Assessment Instrument. -decreased subcutaneous tissue and lean muscle mass. -For individuals with darkly pigmented skin, the assessment will include assessment of other risk factors including bogginess, induration, coolness or increased warmth as well as signs of skin discoloration. Based on the admission assessment, a plan of care will be developed as appropriate, to reduce the risk of pressure ulcers. The plan will be reviewed and revised as necessary. The Director of Nursing Services will ensure that licensed nurses have ready access to clinical resources regarding the prevention and management of pressure ulcers, including wound care and complications such as infections and pain. To ensure that the facility uses current medical practices in the prevention, management and treatment of pressure ulcers, the Director of Nursing Services and the Director of Staff Development will ensure that at least one licensed nurse in the facility periodically attends a training seminar outside of the facility for continuing education. The information obtained in this seminar will be incorporated into facility training programs. The Director of Nursing Services, Staff Development and Dietitian will meet to develop and implement a continuing plan to monitor the care and services provided to the individual residents. The dietary monitoring plan will include assessment data from the Dietitian, including nutrition needs, changes in physician orders, tray-line accuracy, and communication with licensed nursing personnel. The Dietitian and licensed nurses will intermittently audit the recorded rate of meal consumption as compared to the unfinished food on the tray after the meal. The results of the observations, consultations and assessments by the Dietitian will be provided to the Director of Nursing Services in writing. The Director of Nursing Services, Director of Staff Development and Dietitian will monitor to ensure that staff follow the plans of care for the individual residents. As necessary they will intervene with staff to demonstrate and/or or direct aspects of the individual plans of care in a manner that ensures that the needs of the residents are met. When the needs of the resident change, the Director of Nursing Services will be advised and ensure that the resident is reassessed and the plan of care revised. The Director of Staff Development will monitor the performance of staff and as necessary, train staff to ensure they have the skills to provide the required documentation, care and services. The Director of Staff Development will meet with the Director of Admissions to develop a tool to be used at the time of admission. The tool will ensure that copies of resident rights are provided and reviewed with the residents at the time of admission. At that time the residents will also be informed that the facility conducts assessments of their needs to ensure that the resident needs for care and services are identified and provided by the facility. The residents will be informed how to make requests and report problems. The admission tool will also ensure that signed acknowledgement is obtained and filed in the business office with the admission contract. At the time of admission residents will be provided a copy and explanation of resident rights. The tool will also ensure that residents are informed of the assessment process and efforts to ensure that the assessment data are accurate. The admission process tool, developed to ensure that specific tasks were completed at the time of admission, will be used. The Director of Social Services/Designee will establish and maintain relationships with the residents and their family members, representatives and significant others in order to ensure the accuracy of the resident assessments and that care plans meet the needs of the residents. The Clinical Care Subcommittee, of the Quality Assurance Performance Improvement Committee, chaired by the Director of Nursing Services, shall review the care and services for those residents with or who are at risk for developing pressure ulcers and staff training needs on a quarterly basis to ensure compliance. One out of six residents reviewed showed clinical signs of possible insufficient fluid intake. The resident has dry skin, cracked lips, poor skin turgor, and was thirsty. The facility maintains that, based on the comprehensive assessments, the facility provides residents with sufficient fluid to maintain proper hydration and health. The Director of Nursing Services will meet with the Administrator to review the facility policies and practices regarding resident nutrition. The facility dietary and nursing protocols will, based on the comprehensive assessments, provide residents with sufficient fluid to maintain proper hydration and health. The protocols will include a description how licensed nurses monitor the amount of food and fluids consumed by the residents, their weight and when to notify the Dietitian and/or Physician of changes. The Dietitian will ensure that the kitchen staff knows how to prepare diets that contain sufficient fluid for the residents to maintain proper hydration and health. The Directors of Nursing Services and Staff Development will meet with the Dietitian to review the needs of individuals affected by the deficient practice. Those residents affected by the deficient practice will be assessed by nursing and dietary staff and when needed, by the physician. Those residents affected by the deficient practice who require mechanically altered diets will be assessed by the Speech Pathologist to ensure that the diet texture, including fluids, meets their needs. The Speech Pathologist will obtain a physician order for thickened liquids and ensure that kitchen staff is informed how to prepare beverages suited to the individuals. The Speech Pathologist will train staff in the safe feeding techniques necessary for residents at risk of aspiration or other life-threatening swallowing problems. Training will include the appropriate amount of thickening in beverages at meals and at bedside to ensure the beverages are safe for the individual residents. The Interdisciplinary Team will develop and implement plans of care based on the assessments. As necessary the Director of Nursing Services and/or Director of Staff Development will intervene with staff to demonstrate or direct appropriate supervision, care techniques, schedules and practices that help the residents consume sufficient fluid to maintain proper hydration and heath. When appropriate, the Director of Social Services/Designee will meet with individual residents to ensure the services, processes and results of care and services provided by the staff are satisfactory with the residents affected by the deficient practice. To the satisfaction of these residents and the facility, the Director of Social Services will resolve issues that may arise in meeting the needs of the residents in coordination with the Director of Nursing Services and dietary services staff. The Director of Nursing Services will review nursing reports to ensure that, based on the comprehensive assessments; the facility provides residents with sufficient fluid to maintain proper hydration and health. Those clinical indications that indicate the nutritional status of individual residents cannot be maintained will be documented by the appropriate disciplines. These will be discussed with the Dietitian to ensure that all reasonable measures are implemented to meet the needs of the residents. The Director of Social Services/Designee will be available to attend Resident Council and/or meet with individual residents or their representatives upon request to provide information and support about facility policy and practices. Specifically, the Director of Social Services will review the policies and practices related to hydration. Sufficient fluid means the amount of fluid needed to prevent dehydration (discharge of fluids far exceeds fluid consumption) and maintain health. The amount needed is specific for each resident and fluctuates as the condition of the resident fluctuates. Therapeutic diet means a diet ordered by a physician as part of treatment for a disease or clinical condition to eliminate or decrease certain substances in the diet (such as sodium), to increase certain substance in the diet (such as potassium) or to provide food the resident is able to eat, such as a mechanically altered diet. The Director of Nursing Services and the Dietitian will meet to analyze the hydration needs of the residents and staff practices. Seasonal changes and the presence of resident illnesses will be included in this analysis. Staff training needs will be identified. The Director of Staff Development will develop and implement staff training in hydration needs and practices and signs of dehydration under the direction of the Dietitian and the Director of Nursing Services. The Director of Nursing Services and Director of Staff Development will monitor staff to ensure that plans of care for the hydration of individual residents are implemented appropriately. As necessary the Director of Nursing Services and Director of Staff Development will intervene with staff to demonstrate and/or or direct aspects of the individual plans of care to ensure that the needs of the residents are met. When the needs of the residents change, the Director of Nursing Services will be advised and ensure that the residents are reassessed and the plan of care revised to meet the needs of the residents. The Director of Staff Development will monitor the performance of staff and as necessary, train staff to ensure they have the skills to promote hydration. The Director of Staff Development will meet with the Director of Admissions to develop a tool to be used at the time of admission. The tool will ensure that copies of resident rights are provided and reviewed with the residents at the time of admission. At that time, the residents will also be informed that the facility conducts regular nutritional assessments, including data on hydration. The residents will be informed how to make requests and report problems. The admission tool will also ensure that signed acknowledgement is obtained and filed in the business office with the admission contract. At the time of admission, residents will be provided a copy and explanation of resident rights. The tool will also ensure that residents are informed that staff conduct regular nutritional assessments, including data on hydration. The admission process tool, developed to ensure that specific tasks were completed at the time of admission, will be used. The Director of Social Services/Designee will establish and maintain relationships with the residents and their family members, representatives and significant others in order to ensure the safety of the residents. The Clinical Care Subcommittee, of the Quality Assurance Performance Improvement Committee, chaired by the Director of Nursing Services, shall review the hydration needs of the residents on a quarterly basis to ensure compliance.